This post is sponsored by Active Life. 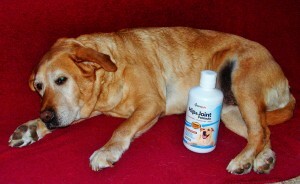 I have been compensated with a free bottle of Hip & Joint Formula for Dogs for the purpose of review. 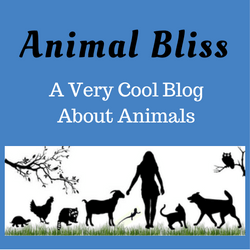 ANIMAL BLISS only shares information we feel is relevant to our readers. Active Life is not responsible for the content of this article and the thoughts expressed are my own. Jake is a happy dog (now). He wasn’t always. He’s the dog we rescued two years ago after having spent his first 12 years living in a wire cage outdoors. As a result of that unfortunate lifestyle, Jake suffers from unimaginable pain in his hips and joints. We can tell by the way he moves and walks. We no longer take him on hikes because it’s obviously not much fun for him anymore. 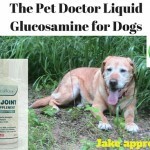 When Active Life approached me about doing a review for their Hip & Joint Formula for Dogs, and since this product contains Glucosamine – Chondroitin – MSM, I said yes. Anything to help make Jake’s life a little more comfortable. Jake has tried several such products in the past, not all of them a success. In particular, the last liquid formula we tried, he wouldn’t even eat the food that it was on. 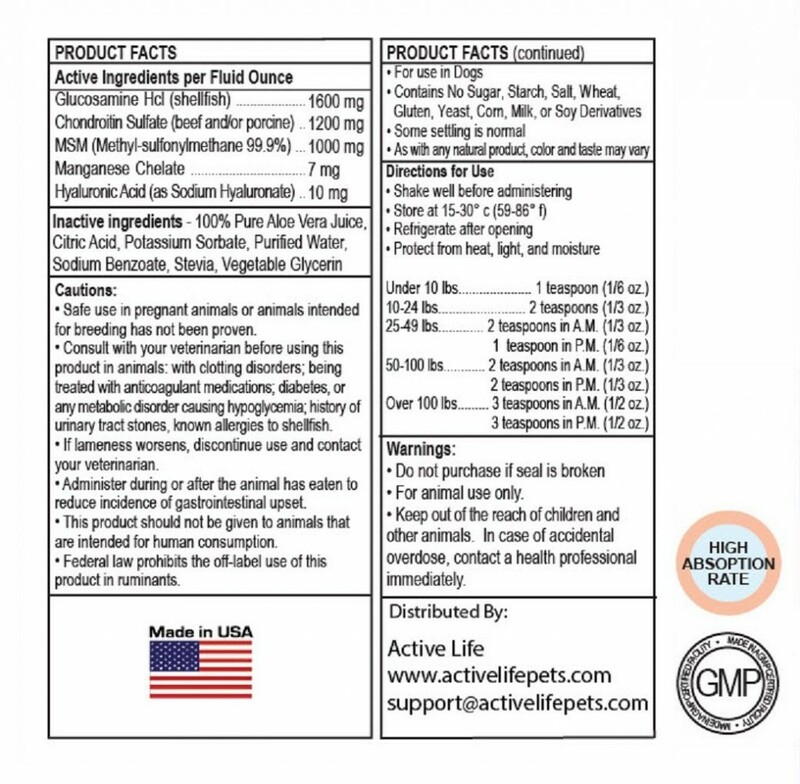 We weren’t sure what to expect from Active Life’s formula, since it, too, is a liquid. But to our surprise, and relief, Jake doesn’t seem to mind the taste at all. He gobbles up the food that it’s sprinkled on, and that’s that! We have noticed, since he began taking the formula 3 weeks ago, that he is walking better, there is less limping, and he doesn’t seem to have as much trouble getting up from a sitting or laying position. These are all positive improvements in Jake’s life and we are thankful for that. 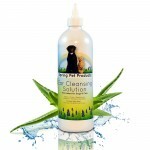 Notice on the center of the bottle label it says, “Dogs Love It!”. I would be inclined to believe that. 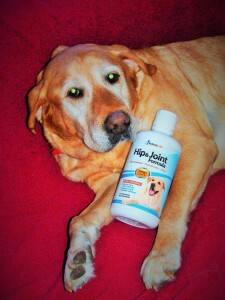 In a nutshell, the Hip & Joint Formula is a supplement for dogs. 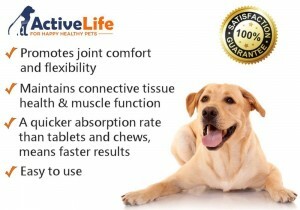 It contains extra strength glucosamine, and is meant to provide arthritis pain relief. 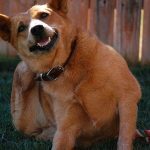 Less pain and more flexibility improves the dog’s quality of life. Jake and I give this product a THUMBS UP. It appears to have helped Jake a lot and he does seem to be in less pain and therefore happier. I’m good with that. 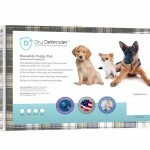 TO PURCHASE a bottle of this safe and natural dog joint supplement, click on this link, which will take you to Amazon. 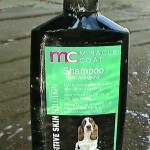 The product comes in a large 32oz Bottle – Made in USA. 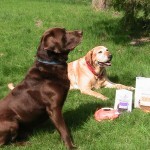 Jake and I thank you for taking the time to read our Active Life Hip and Joint Formula Review. Does your pet suffer from health problems? Is there a topic you would like me to cover on this site? 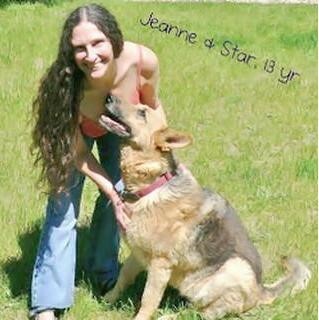 Email me directly at jeanne@animalbliss.com or leave a comment below.